Kitesurfing may look difficult to learn, but it is quite easy and fast to master. Kitesurfing is fun and invigorating; the salty water splashing your skin, the wind that fills your lungs and the vast landscapes provides a source of . Wow! Is a great feeling and you will surely get hooked the first minute you spend trying it out. Well, it takes about a week to master the basic skills and maybe ride your first meter, if you put your mind to it. 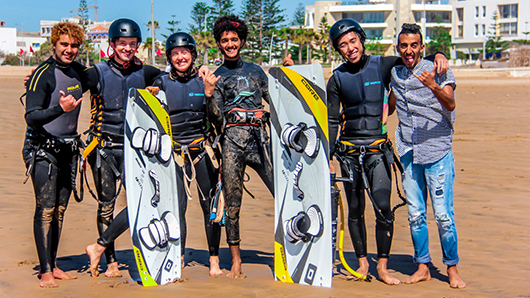 For your first kitesurfing experience, it’s best to train with a reputable kitesurfing school. Ananas Kitesurfing Academy is a smart choice, to learn and enjoy water sports, plus you will have a great time al the way. Our aim is to help you master and improve your kite surfing skills, in order for you to surf safely.